Child Support Enforcement After You? Need to Modify Child Support? Want a Settlement of the Arrears? Are you a father who needs help with child support? Do you want to reduce your child support? Do you owe a high back child support arrears balance? Is the DCSE (Division of Child Support Enforcement) after you for back child support arrears? Is the high wage garnishment causing you and your new family a financial hardship? Is your driver’s license, professional license, or passport suspended? Do believe the child support arrears balance is incorrect? Feel as if you will never pay off the back child support arrears balance and high interest charges? Do you want to reduce and settle the child support arrears balance in full? Is there a warrant for your arrest? We Can Help You. Fathers have rights too! Child Support Survival Services is a low-cost high quality alternative to hiring a child support attorney. Since 1999, we have been fathers’ advocates helping fathers obtain modification for reduction of child support orders, resolving their back child support arrears problems, and assisting with a settlement of the past due child support arrears. We can help you to reduce child support orders and will assist you if your Ex is seeking an unreasonable increase in your current child support payments. We have the same child support calculator as the judges, know how child support is calculated, and can help you prepare your Income and Expense Declaration to effectively show the Court the financial hardship you are experiencing. We deal directly with the Office of Child Support Enforcement, Division of Child Support Services, Department of Revenue, Attorney Generals Office and all other government and private child support collection agencies. We can assist you in all areas of their enforcement, including back child support arrears issues. 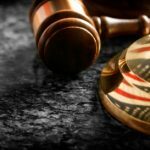 If you contest the back child support arrears balance because you have made payments and not received credit, if you dispute the child support arrears balance because more than one state is enforcing on the same child support case, if you contest child support arrears because the Division of Child Support has continued to charge you child support after your children emancipated or you were charged child support while your children lived with you, or for any other reason you believe the Division of Child Support Services is making a mistake with the claimed past due child support arrears balance, We Can Help You. We will help you obtain an audit of your account to verify the actual amount of back child support arrears you owe and/or assist you with a motion requesting the Court determine your true back child support arrears balance based on the reason that you contest child support arrears. If the wage garnishment for back child support arrears is unaffordable, we can assist you in obtaining a lower repayment plan. We understand that when the payments on the past due child support are too high, your incentive to work is less. If you want to reduce the entire back child support arrears balance by making a compromise, we can coordinate the forgiveness of a large portion of the past due child support balance with the Child Support Enforcement Office or we can help you obtain a fair settlement in full with either the custodial parent or with the Child Support Enforcement Office, depending on the state involved with your case. We know with the high interest charges, many of you will never pay off your child support arrears balances. We believe everyone deserves a second chance to fix their previous mistakes. If you want to know how to get out of paying child support, we cannot help you. But, if you want affordable and honest help because you need to dispute your arrears, reduce current child support or high wage garnishments on the back child support, stop bank levies, reduce tax refund interceptions, obtain release of any warrants for your arrest, want to keep your drivers license, business license, passport, or obtain a release of any of your licenses or passport, or want to settle your child support arrears balance, We Can and Will Help You. It’s never too late to start over. If you weren’t happy with yesterday’s choices, do something about it TODAY. Don’t stay stuck. We at Fathers Child Support Services urge you to contact us today. 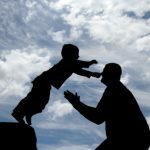 Fathers Custody Center: Dedicated to helping child caring, actively involved fathers to gain custody of their children. Fathers Divorce: Assisting fathers with child support, custody visitation.